Did Quantitative Easing boost bank lending? When faced by a slowing economy and contracting credit what policy should be used? There is a body of evidence to suggest that QE is an effective means to boosting asset prices, aggregate demand and inflation, but it’s far less clear whether it improves the flow of credit to the economy. In theory, increases in deposit funding caused by such purchases might lead banks to increase lending. In this post we explore how this might occur. But we find no evidence that this happened in the UK. This may reflect the fact that QE worked instead through a so called ‘portfolio rebalancing channel’ and that the resulting churn in banks’ deposit funding stopped any such channel from operating. It lowers borrowing costs, particularly for firms, which encourages them to invest more. In theory, it may have also led to an increase in banks’ willingness to lend, via a so called ‘bank lending channel’ (BLC). At the time QE commenced some commentators thought that this would be a key channel through which QE would operate, but the MPC viewed this as less likely due the balance sheet constraints faced by UK banks. Our work, summarised in a Bank Working Paper, sought to challenge the MPC’s view and tests for a BLC in the UK. We explore a particular form of BLC along the lines of Kashyap and Stein (1995) (other forms of BLC include Peek and Rosengren, 1995, and Disyatat, 2010). A key condition for such a bank lending response is that deposits are a preferable and cheap source of funding for banks compared with market funding which is assumed to become increasingly expensive as more is issued. To understand how QE could give rise to a BLC it is important to understand the mechanics of QE and to dispel a myth that QE involved solely injecting reserves (a form of electronic money) directly into banks. In fact, the asset purchases were designed such that assets would be bought from non-banks like pension funds and insurance companies, referred to as Other Financial Corporations (OFCs). The MPC achieved this by largely purchasing gilts at medium to long maturities, which were most likely to be held by non-banks (Fisher, 2010). However, while gilt purchases were to be made from non-banks, these transactions took place via banks that are eligible to transact in the Bank’s QE operations. 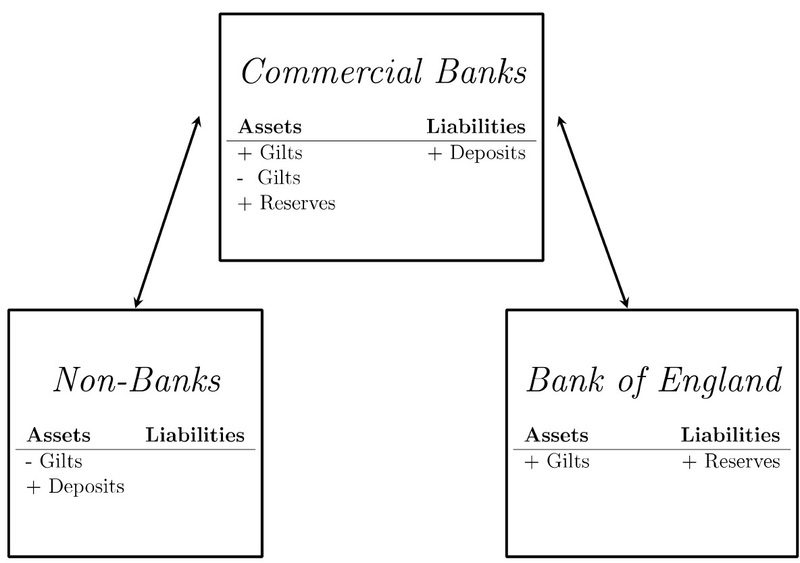 Figure 1 shows a schematic of how the asset purchases affected the balance sheets of the Bank of England (buyer of the assets), banks (the conduit for the asset transaction) and the non-banks (sellers of the assets). The non-banks sell their gilts and in return gain deposits at the bank they transact through. The Bank of England creates reserves and uses these to acquire gilts from the intermediary bank and credits their account with reserves. As QE increases the quantity of deposits held at banks it seems an ideal candidate to give rise to a BLC. In our paper, we show that this may be the case using a simple framework in which these deposits offer cheaper financing than other sources of funding. We also show that if deposits are very ‘flighty’ (i.e. if they move quickly from one bank to another) then banks are less likely to increase their lending, as cheaper funding today may have to be replaced with more expensive funding in the future. We test for a BLC using balance sheet and market operations data that are available to researchers at the Bank of England. A key challenge for empirical work on the BLC is to show that changes in deposits have caused changes in lending, rather than the other way around. The endogenous variation in deposits – caused by the creation of deposits when a bank extends a loan (see eg Kumhof, 2015) – risks biasing the results of any estimation. So an identification strategy is needed to isolate changes in lending caused by exogenous changes in deposits. We attempt to address this problem and test for a BLC using both an instrumental variables (IV) approach and also a difference-in-differences approach. Our first approach looks to remove the endogenous variation in deposits by using data on participation in QE operations. This works if successful participation in a QE operation leads to an exogenous change in deposits (ie the change in deposits is not caused by that bank’s lending decisions). Our second approach seeks to exploit structural differences in banks to estimate the relative lending response of banks that are likely to be subject to exogenous OFC deposit shocks over the QE period. 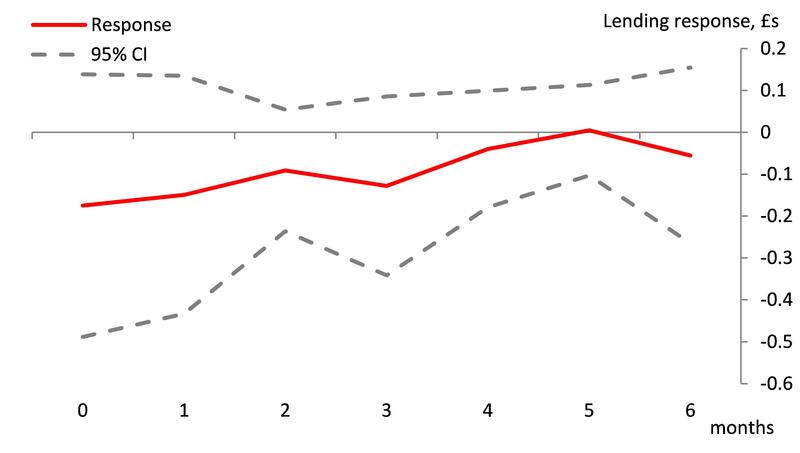 Chart 1 shows one representation of our results – the estimated impact of QE on lending up to six months ahead. The confidence interval covers zero at all points: there is no statistically significant impact on lending. This suggests either that there was no BLC, or that it was so weak as to not be picked up by our analysis, and economically insignificant. Our results do not provide an explanation of why a BLC did not operate. But the framework we mentioned earlier does suggest one reason why – if QE gave rise to flighty deposits, then the traditional BLC would be diminished. This is something we can check empirically. To do this we construct a measure of churn for bank level reserves and deposits which increases as reserves and deposits move around the banking system more. 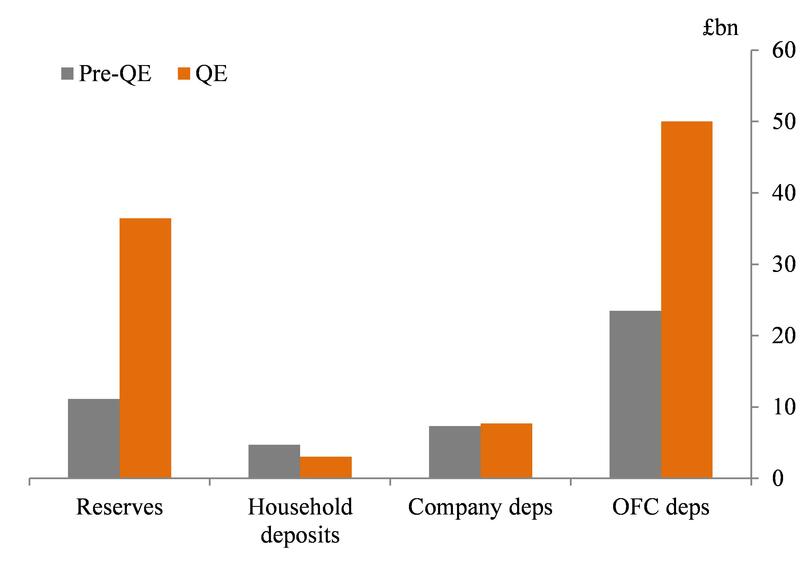 Chart 2 shows that the variability (or churn) of banks’ OFC deposits and reserve positions increased during the QE period. This is what you would expect if the non-bank seller of a gilt chose to buy another asset to replace it, and then the next asset seller did the same, causing deposits to move around the banking system. Notes: Mean of gross-net flows gap (calculated monthly, see paper for calculation). Source: Bank of England. In fact such a pattern is consistent with the so-called portfolio rebalancing channel of QE. The key to this channel is the assumption that the OFC will not want to hold banks deposits because of their low yield, but instead will want to “rebalance” their portfolio by using the deposit to purchase higher yielding assets such as equities or corporate bonds. The repetition of this process, and the associated movement of deposits and reserves through the banking system, boosts asset prices. But the churn in deposits that it creates may mitigate any possible bank lending channel. In this blog post we find no evidence to suggest that QE boosted bank lending in the UK through a bank lending channel, possibly because the high churn in deposits meant they were not viewed as a stable funding source by banks. In the process, we dispel the myth that money created by QE lay idly on banks’ balance sheets. Instead deposits and reserves moved more rapidly around the banking system, consistent with the portfolio rebalancing channel of QE. Previous Post Will a Fed rate hike affect house prices in emerging markets?